There can certainly be considerable excitement and anticipation as people count the days until their new dog comes home for the first time; this is particularly true for those new to dog ownership but undoubtedly exhilarating in all such circumstances. Whether that dog is a puppy that will grow and develop alongside the young children in a family, or an older rescue that can provide companionship for empty-nesters, much delight surely lies ahead. Establishing the right environment from the outset will play an important role in setting a foundation for a long and mutually-rewarding relationship. These preparations will help each party adapt more readily/comfortably to the changes in their lives and in ultimately creating the compatibility necessary to co-exist in harmony. Has research been done on the selection of a local veterinary clinic? Have all of the necessary supplies, equipment, comforts been bought? Are the size and layout of the home suitable for the size/breed of dog? Based on social/work calendars, how often might the dog be left alone? Is the backyard accessible from the home? Is it safe, secure, enclosed? Which family member will assume the ultimate responsibility for the dog? 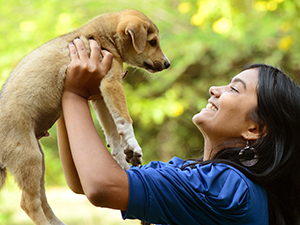 Do all members of the family agree with acquiring and caring for the dog? Has it been confirmed that there are no issues with allergies in the family? Will there be a sufficient commitment to housebreaking? Regular exercise? Are there other pets? How do they usually behave in the presence of dogs? Are the long-term financial and emotional commitments wholly understood? Is there stress or tension in the home? Will it disrupt/detract from dog care? Adopting or buying a dog and introducing it into a new home/environment can be rather overwhelming, for the dog and its new owners. By investing the time to thoroughly plan and prepare for the dog’s arrival, owners can accelerate the acclimatization process and help their new family member make a smoother and more comfortable transition into its new surroundings; a self-assessment such as that offered above will also aid in stressing the degree of responsibility that accompanies the acquisition of any dog, whether it be a puppy or one at a later stage of its life. This professional training is provided by the experienced dog trainers from Alpha Paws in Newmarket. 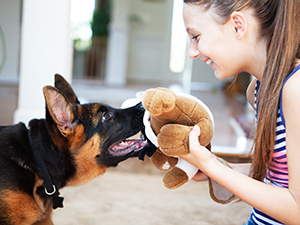 Beginning with an in-home assessment, which allows for the observation of the dog in its new surroundings/environment, an Alpha Paws dog trainer can recommend or devise a specific training program that best meets the individual needs of the dog and its owner family. For additional information on the dog training programs offered by the dog trainers from Alpha Paws, please visit our Basic Obedience page. When buying or adopting a dog, obedience or behavioural training can play an important role to help the dog adapt to its new surroundings/environment. Call the dog training professionals at Alpha Paws today at 1-877-868-PAWS (5248) to request an in-home assessment and/or to discuss the dog training program that would be most suitable for you and your new dog.